Built in 1957 this 300 SL example has been meticulously maintained since the key was first turned. Benefiting from always being stored indoors this low mileage classic nonetheless has its shell, doors, bonnet and boot lid (hood and trunk to our American friends) stripped of paint. 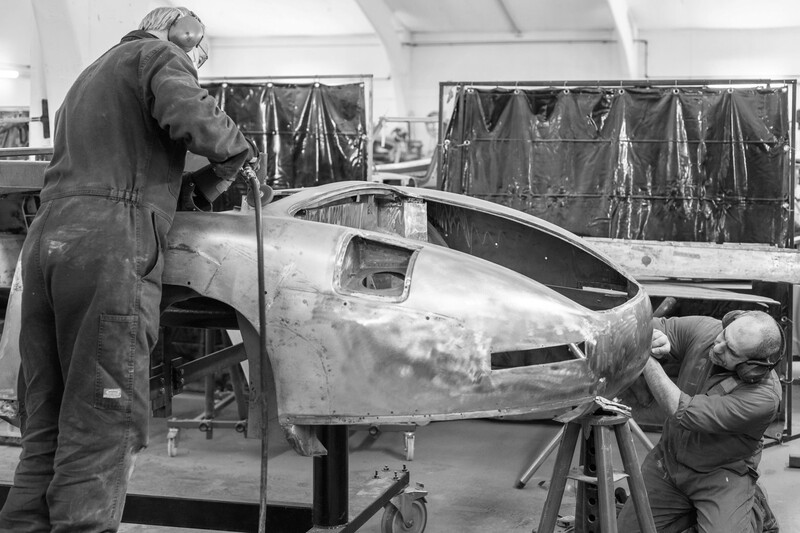 In the hands of the Hemmels metal workers dedicated to working on the 300 SL series, the shell is first trued then faulty panels replaced with new, genuine Mercedes-Benz components. The overhaul of the shell will take at least 2 months. When complete, it's not as simple as bolting it directly to the revitalised Space Frame. It will need to be shimmed, like they did originally over 60 years ago, to ensure all the lines and gaps are perfect. But we're far ahead ourselves. For now the task is to ensure the shell is handcrafted back to perfection.